Ready to get out of the cold? 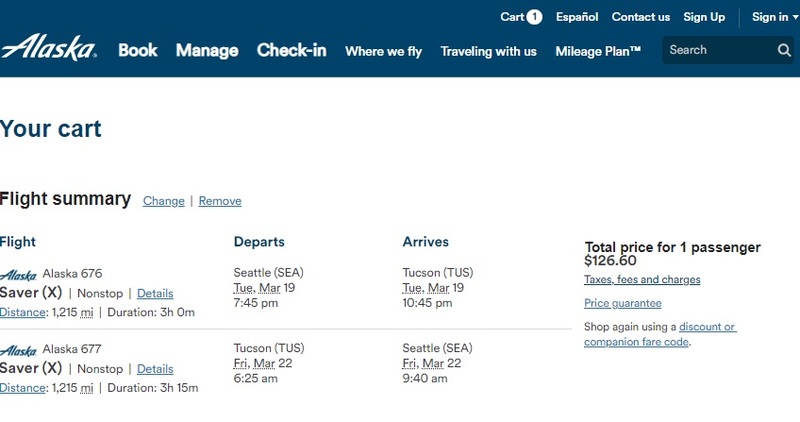 Check out these excellent fares from Alaska Airlines for direct service from Seattle to sunny Tucson, Arizona! Best dates are mid-February until the beginning of April. This could work if you’re planning a trip to the Phoenix area for baseball spring training, as well. Be aware, this is Alaska’s new Saver Fare. A standard size carry on is included but seat selection and other amenities are extra. Alaska credit card holders still get one checked bag free as part of the benefits of the card. Use ITA Matrix Software to find the best dates. Book direct through Alaska for the frugal fares! Jan 9 Seattle to Munich, Germany from $376RT!